A WORKING APPLE-1 PERSONAL COMPUTER. PALO ALTO, 1976. An Apple-1 motherboard: labelled Apple Computer 1 Palo Alto Ca. Copyright 1976 on obverse with four rows A-D, and columns 1-18, white ceramic MOS Technologies 6502 microprocessor, 8K bytes RAM in 16-pin 4K memory chips with an additional 4k piggy-packed onto on RAM bank to create 12K of RAM the heat sink removed along with voltage regulators which have been placed onto the metal casing enclosure (which acts as a heat sink), original 3 “Big-Blue” power supply capacitors, firmware in PROMS (A1, A2), low-profile sockets on all integrated circuits, fitted with original Apple cassette interface card lettered with “G” within triangle, above D9 is an added 1702 EPROM ; the metal casing painted green with Datanetics keyboard to front (20 ¼ x 17 x 6in.) ; vintage Viatron monitor model no. 3001-301 (20 x 11 x 9in.) ; in working condition. 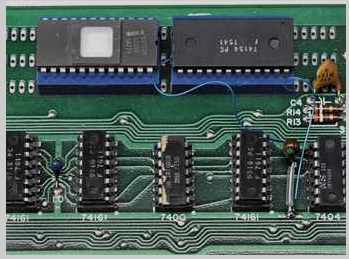 Provenance: The EPROM and extra RAM added by the first owner; acquired by Frank VanGilluwe III; sold to Andrew “Zack” Zacharias for $300 May 1978. 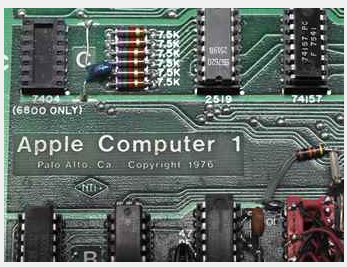 The first Apple computer – herald of the home computing revolution and of the internet age. 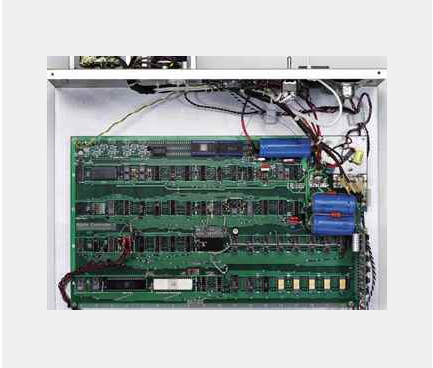 The Apple-1 computer is the first personal computer sold with a fully assembled motherboard. What began as the attempt by two techie friends to design and build a microprocessor became the first personal computer and launched Apple Computer, the perennially pioneering company that defined and redefined its industry – and changed the lives of its millions of customers – to become the world’s largest corporation. After introducing their new creation to a small group of like-minded friends at the Homebrew Computer Club in Palo Alto, California, Steve Jobs and Steve Wozniak were able to secure an order for 50 computers from Paul Terrell, owner of the Byte Shop, a small local retail outlet. 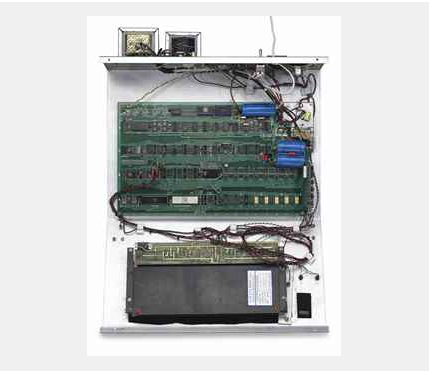 The Apple-1 systems were sold without casing, power supply, keyboard or monitor, but offered a pre-assembled motherboard, something that put Apple far ahead of its competitors. After securing that initial order, Jobs and Wozniak scrambled to find cash for the necessary parts, selling personal property (a VW van and HP-65 calculator, respectively) to finance the operation. Working furiously from the Jobs household, spread out through the garage, living room and even a bedroom, the young men and their friends and families built the motherboards by hand to fulfil the Byte Shop order, and made an additional small quantity to be sold directly to friends and members of the Homebrew Computer Club. Approximately 200 Apple-1s were built, but only a quarter of those still exist, as recorded in Mike Willegald’s online Apple-1 Registry. Emboldened by the success of the Apple-1, Jobs and Wozniak soon developed the far more advanced Apple-II, first sold on June 10, 1977 and which remained in production, with improvements, until 1993. Jobs and Wozniak officially discontinued the Apple-1 in October 1977, offering discounts and trade-ins to encourage all Apple-1 owners to return their machines. 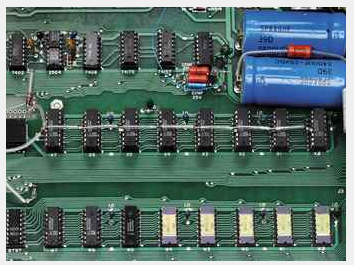 These were destroyed, and few Apple-1s survived, fewer yet in working order or in private hands. Fifteen examples are extant in public collections, including examples in the Smithsonian Museum of Art, and in twelve other museums of technology or science worldwide. Recent examples at auction include: one sold in First Bytes, a Christie’s online sale (lot 2, 24 June – 9 July 2013); one sold by Breker, Cologne, ($671,400; 25 May 2013); and one sold by Bonham’s, New York ($905,000, to The Henry Ford Museum, Dearborn, Michigan; 22 October 2014). Originally priced at $666.66, Steve Jobs advertised the Apple-1 as “[a] truly complete microcomputer system on a single PC board… an extremely powerful computer system that can be used for anything from developing programs to playing games or running BASIC. […] Since the Apple comes fully assembled, tested & burned-in and has a complete power supply on-board, initial set-up is essentially ‘hassle-free’ and you can be running within minutes”. It is in this spirit of unfettered development that the first owner adapted the unit with the addition of EPROM. Computers from this era had to load programs into RAM before running them; but non-volatile memory like EPROM retains data even when powered off. 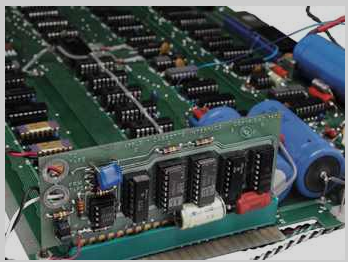 As a result this Apple-1 could run from the EPROM right after power up, and it is probably the earliest Apple product to have been able to do this – a crucial step on the way to Apple’s eventual development of its ubiquitous mobile phone. If you have the cash and fancy purchasing a piece of history then visit Christies to learn more.